Do you want to be the manager of your favorite football team? 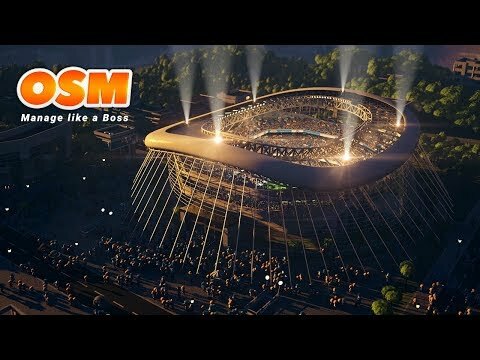 Online Soccer Manager (OSM) offers you that chance! This free-to-play game is completely renewed and contains all football competitions and clubs from all over the world.Choose your club and manage everything: line-up, tactics, training,... Lihat lebih banyak Do you want to be the manager of your favorite football team? Online Soccer Manager (OSM) offers you that chance! This free-to-play game is completely renewed and contains all football competitions and clubs from all over the world. This is a one season game. At the end of the season you can select a new team for the next one. This way you&apos;re able to manage a lot of different teams over time, which is really awesome! You can manage a lot of different teams over time, which makes the game more challenging, more varied and more up-to-date compared to other football management games like. All your results will be stored in your profile. You might wonder if this football game is really free. Well it is! You can play Online Soccer Manager for free as long as you want. So don&apos;t hesitate and install OSM now!